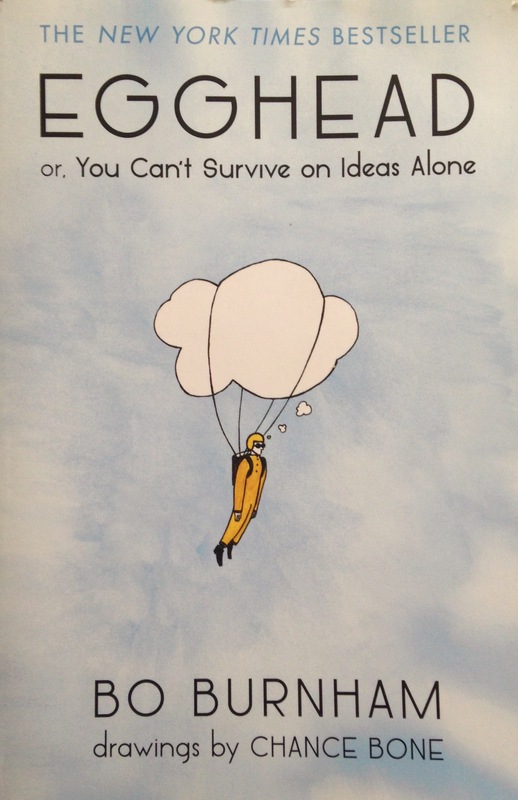 A collection of emotional yet odd poetry and thoughts accompanied by illustrations. Bo Burnham is a comedian, musician and poet who you may have seen across the internet as his witty songs are often turned into gif form. I had seen the gifs and the odd clip of his performances and I really liked his sense of humour so when I saw his book in a second hand book sale I thought it was the time to pick it up. The poetry is often weird and creepy but it’s so funny and then I found myself thinking, “Why am I laughing at this?! It’s slightly disturbing?” Then there was the poetry that was more emotional, one of my favourites was called “Beautiful” and the way Chance Bone’s illustrations went with that poem worked really well. The format of the poems often add to the humour, for example “Entrance” which makes a reference to Tetris so the poem is like one of those long, five block Tetris pieces. Then there’s the poems that make you think, like “Change” which I will quote now because it’s short and perfect: “I don’t expect to change your mind with one conversation, only to chip away at it, like a woodpecker on a redwood tree.” What a good poem right?! Some of Burnham’s poems are only a couple of lines long while others take up a double page and Bone’s illustrations are related to each poem. All the illustrations are in black and white and look like simple pen drawings but when they’re with Burnham’s writing, some of the illustrations are a bit unsettling while others kind of beautiful in their simplicity. The only thing negative I’ve really got to say about Egghead is that a lot of the poems feel like they would have been more funny or impactful when actually spoken aloud. As I read them in my head I thought how emphasis on different parts could make the meaning suddenly different but seeing Burnham’s poetry written down and experiencing it that way definitely makes me want to check out more of his shows online. If like funny and off-kilter poetry or if you are a fan of Bo Burnham, you should definitely check Egghead out. 4/5. I’m not much a poetry reader either but this was definitely more fun and weird than the sort of poetry I had to read for school.